We headed back to Denver to hang out for one more night. 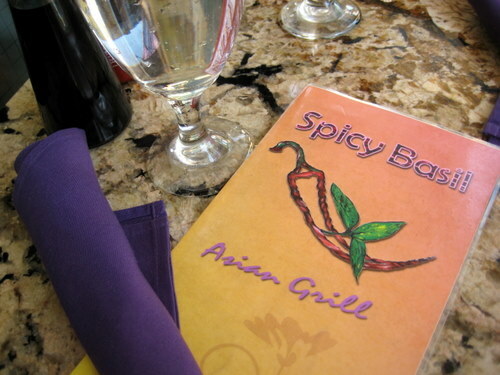 We roamed around Broadway for awhile and then stopped for lunch at Spicy Basil. They bill themselves as an asian grill. 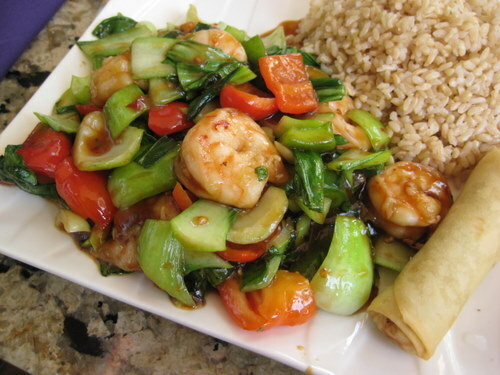 They have a mix of thai, chinese, and questionably vietnamese dishes. They have some seating outside so we enjoyed our last al fresco meal in sunny colorado. They have some very affordable lunch deals, so we both got one of those. 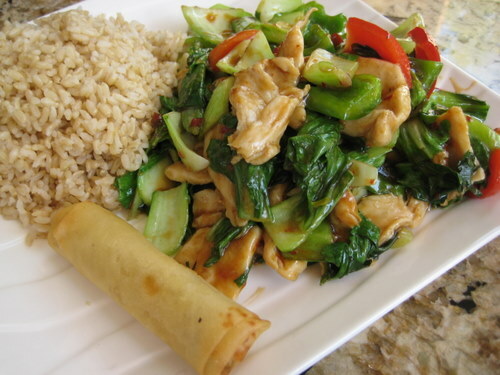 S got the spicy basil chicken and the spring roll. I got the spicy basil shrimp with a spring roll. Our server encouraged us to order two different dishes, but we didn’t care. That’s what appealed to us. So we had the same dish, hers with chicken, mine with shrimp. I really loved this. It was sweet and savory and slightly spicy. I loved that there was tons of baby bok choy and red peppers. I ignored the green peppers, as usual. And we both got brown rice. I need to learn how to make this because I could eat this all the time. It was quite busy when we were there so it seems to be a popular lunch spot with the locals.